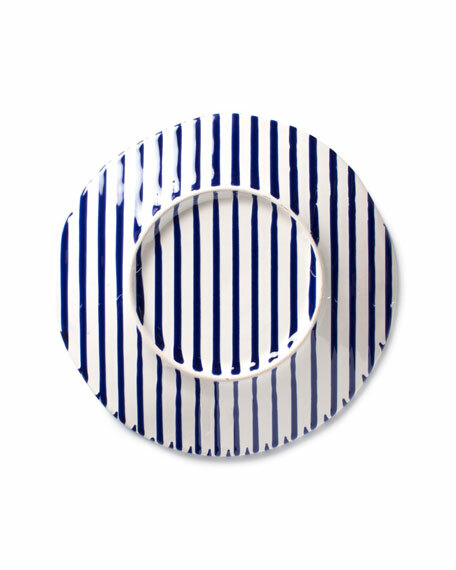 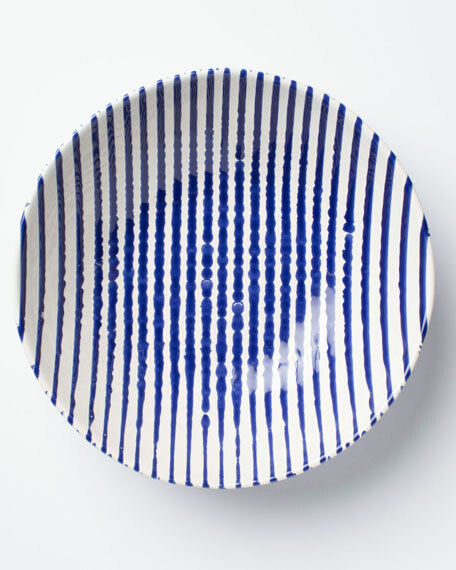 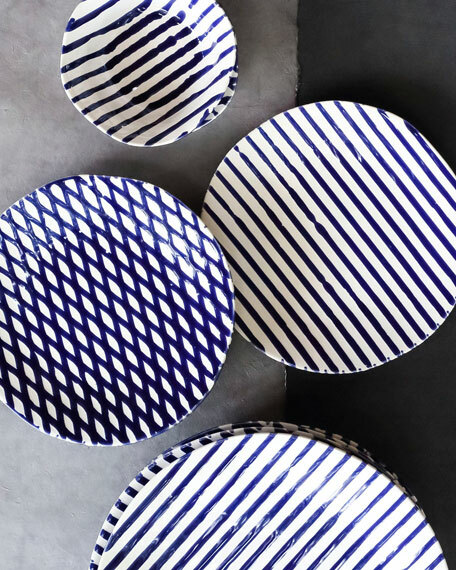 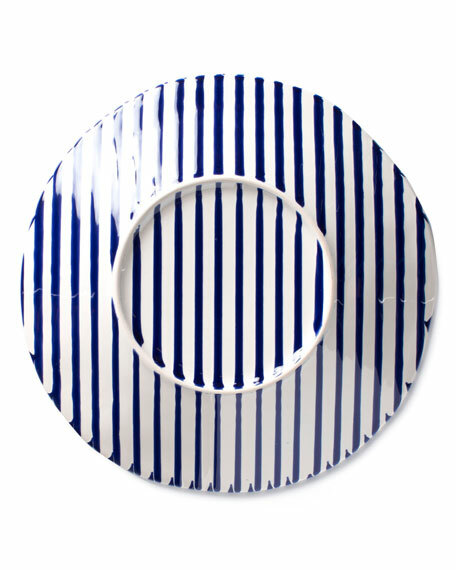 For the ceramic lover who has everything, the Net & Stripe Medium Oval Platter adds a modern twist to the classic combination of blue and white. 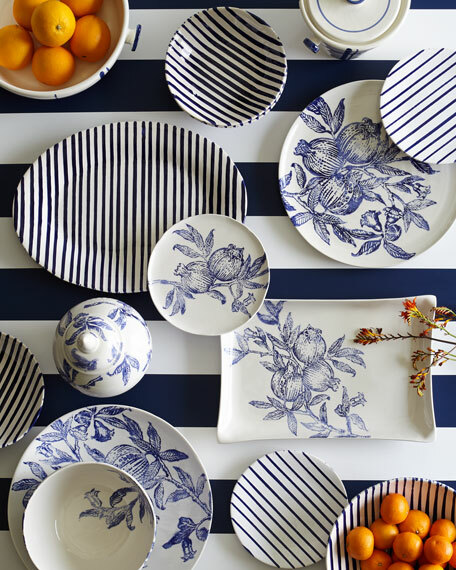 The hand-painted features of this beautiful collection reflect on the intricately woven nets used by Italian fishermen for generations. 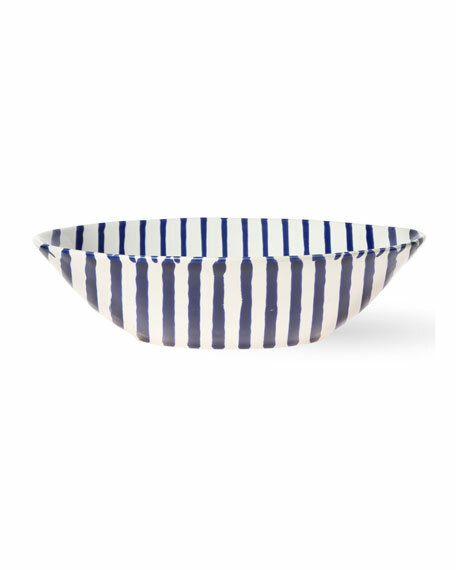 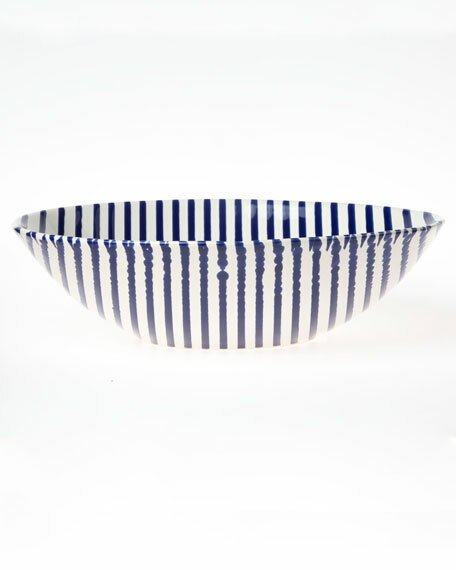 Hand-painted in Italy, the Net & Stripe Stripe Medium Serving Bowl is a modern twist on the classic combination of blue and white. 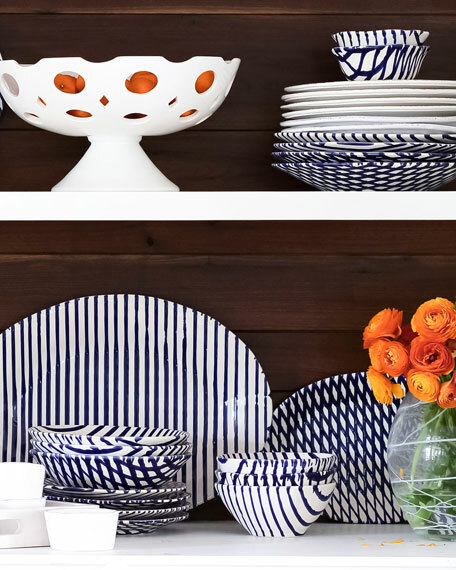 Featuring interchangeable designs on a variety of versatile shapes, this collection creates a beautiful statement on its own or paired with Costiera. 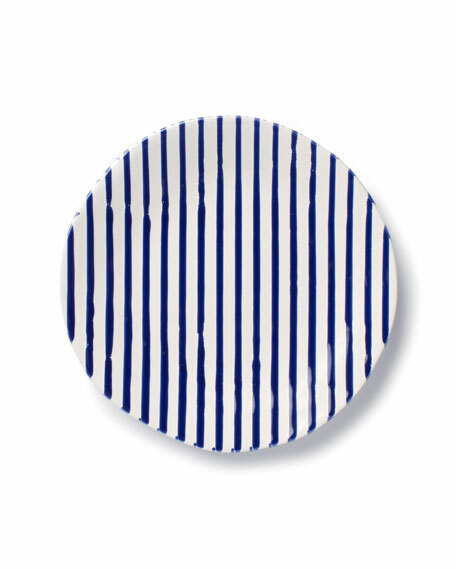 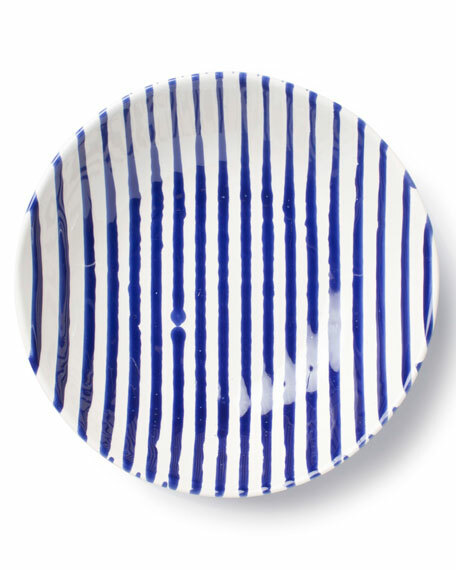 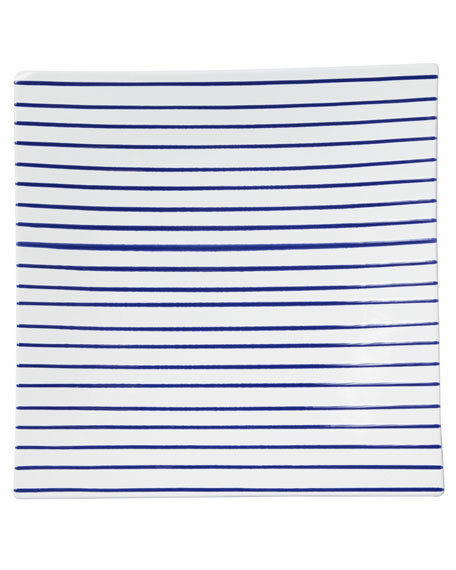 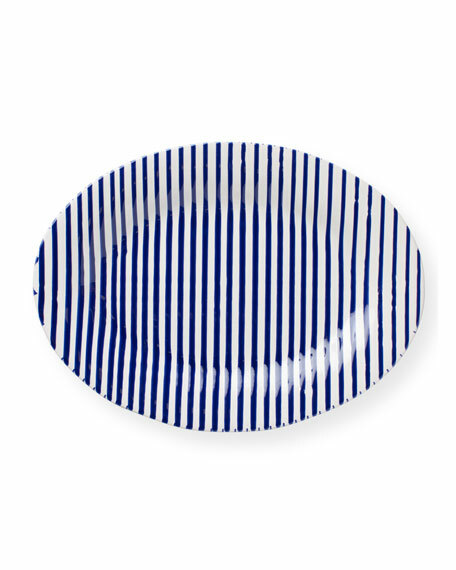 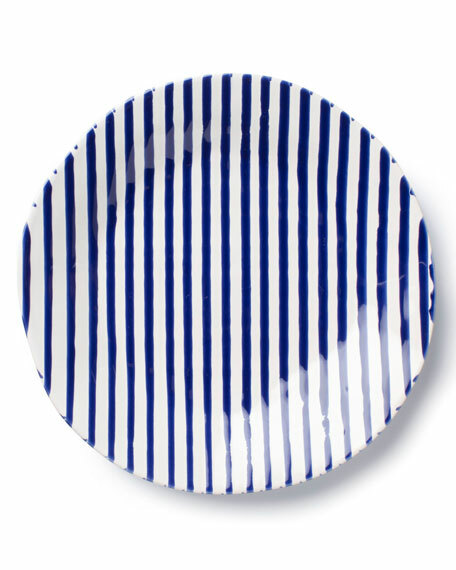 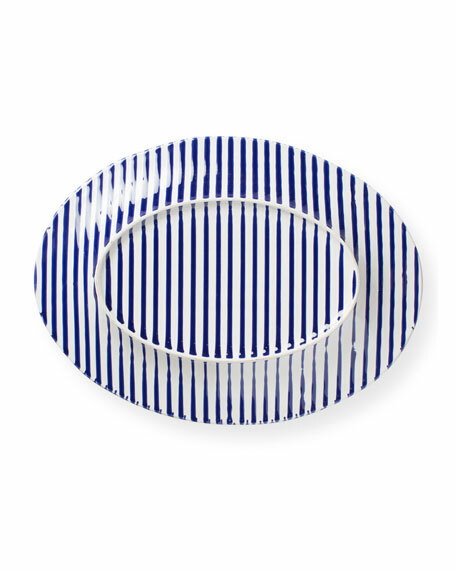 Create a beautiful statement on your table with the Net & Stripe Stripe Salad Plate. 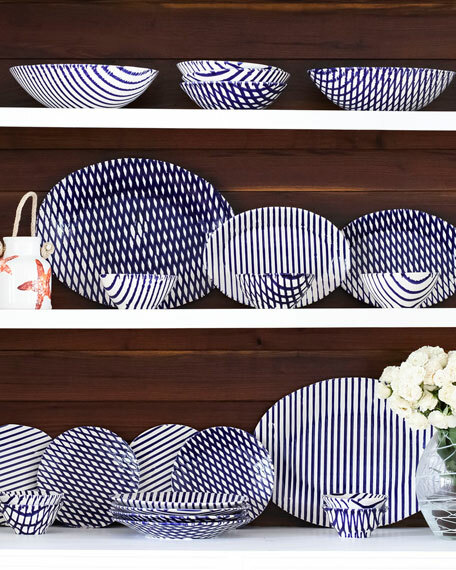 Hand-painted in Umbria, this collection was inspired by the intricately woven nets used by generations of Italian fishermen.